The holidays have finally arrived whether you were waiting in anticipation or dreading the season – tis’ the season for holiday shopping! While there are still a few weeks left, many (I may be one of those people!) wait until the last minute to finish buying presents for loved ones. For those of you who do, the time to put the pedal to the metal and finish that Christmas shopping will be here before you know it. While the shopping experience is enjoyable for some, many manufacturers realize the few days before Christmas turn into a frenzied period of packaging and delivery. The thousands amongst thousands of warehouse employees are working harder than ever to make sure your gifts are delivered on time. 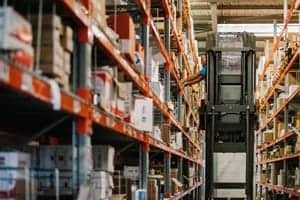 But with the increased pressure to ensure all shelves are filled and all packages are delivered, the risk of a work accident and injuries increase for those behind the scenes. According to the U.S. Department of Labor Statistics, warehouses experience 15,000 accidents, illnesses, and injuries every year. But how many occur during the holidays under pressure to get products packaged and delivered in time for Christmas? Temporary workers are commonplace during the holiday season. To keep up with high demand, manufacturers not only hire additional people to keep up with the traffic but may also require longer hours of all employees. Both are factors that could contribute to an increase in a work accident incident. The long hours, combined with a shorter training opportunity for new employees, carry a big risk – will these employees suffer a workplace injury because of the circumstances? There are many causes of a work accident, especially during the holiday season. Shortcuts, mental distractions, neglecting safety procedures, poor housekeeping, and lack of preparation can all contribute to workplace injuries. Workers’ compensation can come into play if such injuries do occur. From an employer standpoint, it is very important that extra precautions are taken to ensure the safety of all employees, including temporary workers with less training. Employers can increase the number of training opportunities for all employees, assign extra managers to floors to guarantee all appropriate actions are being taken to follow protocol, and promote open communication so questions can be asked when needed. For employees, diligence and mindfulness could prevent a devastating injury. The holidays should not entail a trip to the emergency room because of a workplace injury, but rather a time to celebrate the season of joy surrounded by your loved ones.